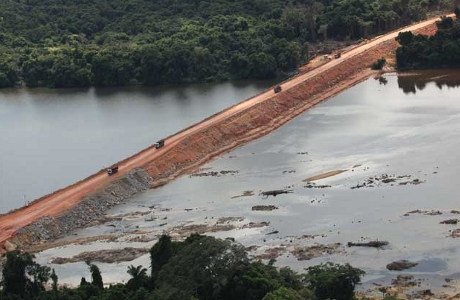 A high-level court suspended construction of the controversial Belo Monte dam project on the Amazon’s Xingu River yesterday, citing overwhelming evidence that indigenous people had not been properly consulted prior to government approval of the project. During the United Nations’ Rio+20 conference in June, indigenous leaders launched a 21- day occupation of the dam site, protesting against the growing impacts of the project and broken promises by dam-builders. Two weeks later, indigenous communities detained three Norte Energia engineers on tribal lands. Both protests demanded suspension of the project due to non-compliance of mitigation requirementes. Last month, the Federal Public Prosecutors’ Office filed a lawsuit calling for suspension of the Belo Monte’s installation license, given widespread non-compliance with conditions of the project’s environmental licenses. Given this contentious and convoluted history, the long overdue process of consultations with indigenous peoples on Belo Monte is not likely to produce a positive verdict on Belo Monte, from the point of view of indigenous peoples. Similar conflicts over violations of indigenous rights by dam projects are emerging elsewhere in the Brazilian Amazon. Last week, in another landmark decision led by judge Souza Prudente, a group of judges from the TRF1 , the same court ordered the immediate suspension of one of five large dams planned for the Teles Pires river, a major tributary of the Tapajos river, noting a lack of prior and informed consultations with the Kayabi, Apiakás and Munduruku indigenous peoples affected by the project. A government decree issued this week ends the “pseudo-sovereignty” of Ecuador’s national police and places the force under civilian control, Interior Minister Alfredo Vera said Wednesday.